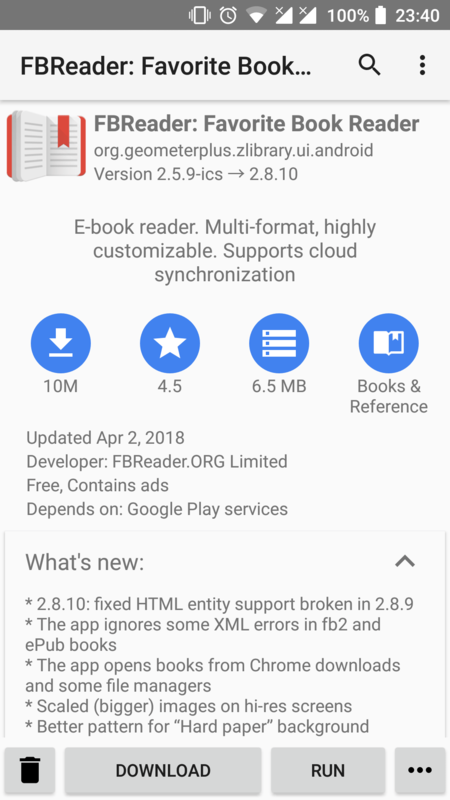 Yalp Store lets you download apps directly from Google Play Store as apk files. 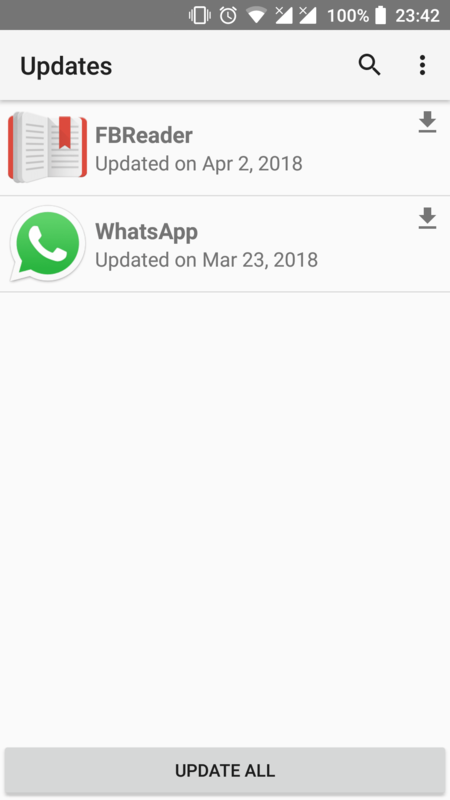 It can search for updates of installed apps and lets you search for other apps. Yalp saves downloaded apks to your default download folder. Other features include browsing categories, viewing and leaving reviews, black/whitelisting apps for updates, filtering apps by being free/paid and containing/not containing ads. To supplement the features related to Google Play, Yalp Store has ordinary package manager features: listing, running, installing and uninstalling local apps. If root is available, Yalp Store can update your apps in background, install and uninstall system apps. Yalp Store can be installed as a system app to gain background package installation permission. In ths case "Unknown sources" setting can be left off. You can let Yalp Store self-install as a system app, or get the OTA zip from the releases page. The point of Yalp Store is to be small and independent from Google Services Framework. You might want to use Yalp Store is if you frequently flash experimental ROMs. This often breaks gapps and even prevents their reinstallation. In this situation Yalp will still work. By default Yalp Store connects to Google services using a built-in account, so you do not have to own a Google account to use it. The only reason to use a live Google account is to access the paid apps you own or leave reviews. 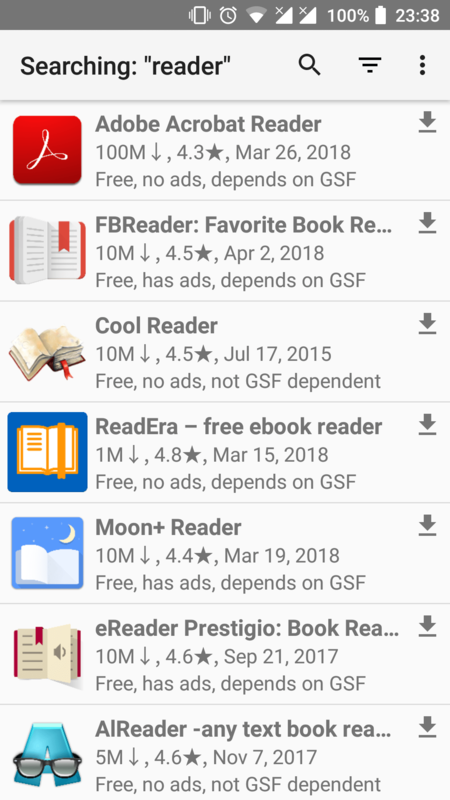 If you are content with Google Play Store app or Open GAPPS, you will not need this app. This version requires Android 2.0 or newer.